It’s widely known that pure maple syrup and sap contain a host of vitamins and nutrients along with sweet, natural goodness for your skin. 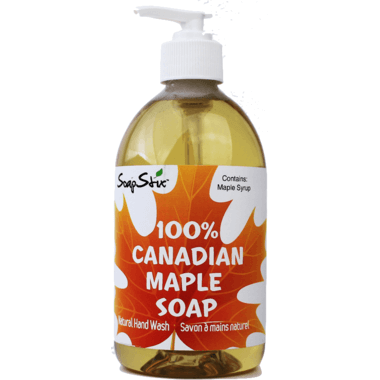 Stix Brands SoapStix 100% Canadian Maple Soap Pump is specially formulated to help repair dry skin and eczema. In addition maple soap has anti-bacterial properties that can purify the skin, leaving hands clean, soft and moisturized.